Powerpoint with images and quotes from individuals and their opinion of government involvement. Invitations ~ Hand written, computer generated, or a phone call. If hand written, use lovely stationery, do not abbreviate anything. A computer invitation can be very elaborate. A phone call should be your last choice, but as a follow up to a written invitation, a phone call is fine. The theme of your tea ~ Some themes might be some occasion like a birthday, wedding or baby shower, a holiday, a mother and daughter occasion, to honor someone, a celebration of a season. The decorations ~ A fall tea might be decorated with a bowl of fall leaves, pine cones, anything from your yard. Candles or lovely kerosene lamps can set the mood. Try them on mantles and side tables. Put them in front of mirrors for a great effect, or sit them on mirrors laid on the tables. Flowers are a must. The Victorians loved roses, but don't forget the great flowers found in Victorian gardens, pansy's, hollyhocks and snapdragons. Even wild daisies, queen annes lace, and clover blooms look lovely in an arrangement. The "props"~ Are you going to ask your attendants to come dressed up in any way? You might provide big hats with yards of tulle for your guests to wear, easy enough with straw hats and tulle by the yard, or an assortment of gloves, or ask guests to wear a long skirt. Not enough teacups? Ask them to bring their favorite cup and saucer. The Menu~ The most important part. Choose your menu from some of the recipes in "The Pantry" a collection of authentic vintage recipes and modern adaptations contributed by several Complete Victorian members. a peek at American History during this time <note: my students completed their American History Studies through this period last year> These activities will help the students recall events already studied in detail. Choose to listen to at least one of the audios below. Draw and write about what you have just heard. All the Victorian writers, poets, painters glorified English culture. Thackeray exposed the middle class hypocracy in his �Vanity Fair�. It was a great age for novels. BBC History Overview of the Victorian Age: this source provides easy to read summarized information on the Victorian Age in Naval Supremacy, Politics, The Industrial Revolution and Ireland. This website /blog has a link to a variety of videos for this era. These need to be reviewed. 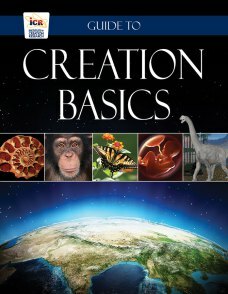 Creation Super Library - lots of videos and articles to review.